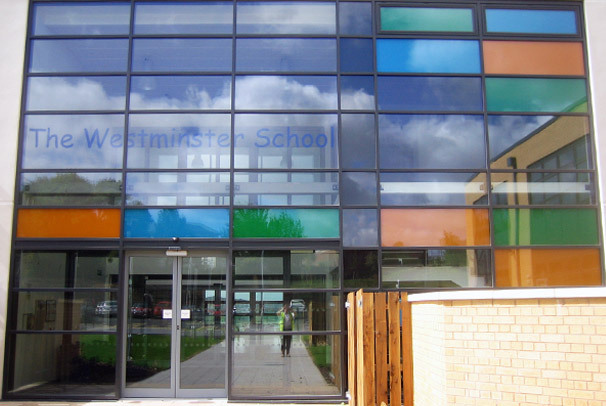 With a large open atrium area available to the architects and designer, a stunning design was essential to give an initial, large visual impact when entering the school. 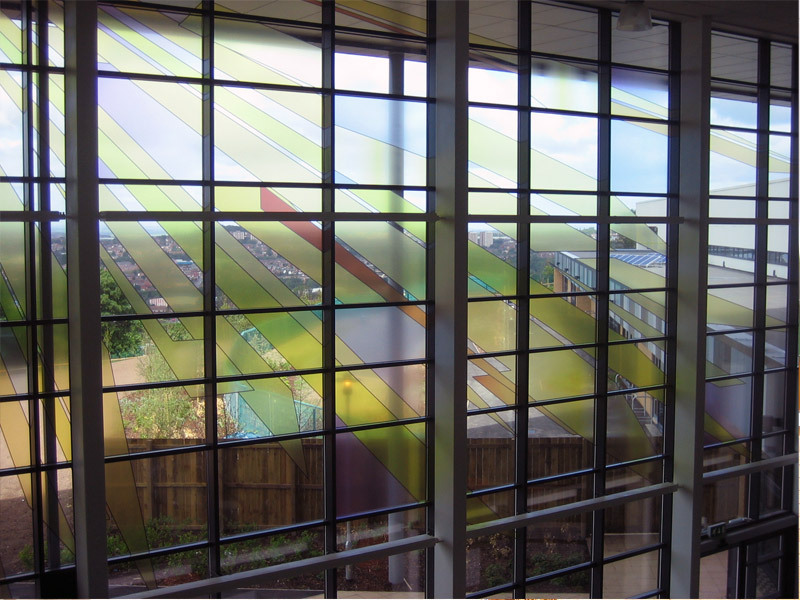 With Bonwyke’s high grade UV printing process the colourful ‘sunbeam’ effect was printed to an optically clear film and then installed to the front elevation glass in the foyer atrium. 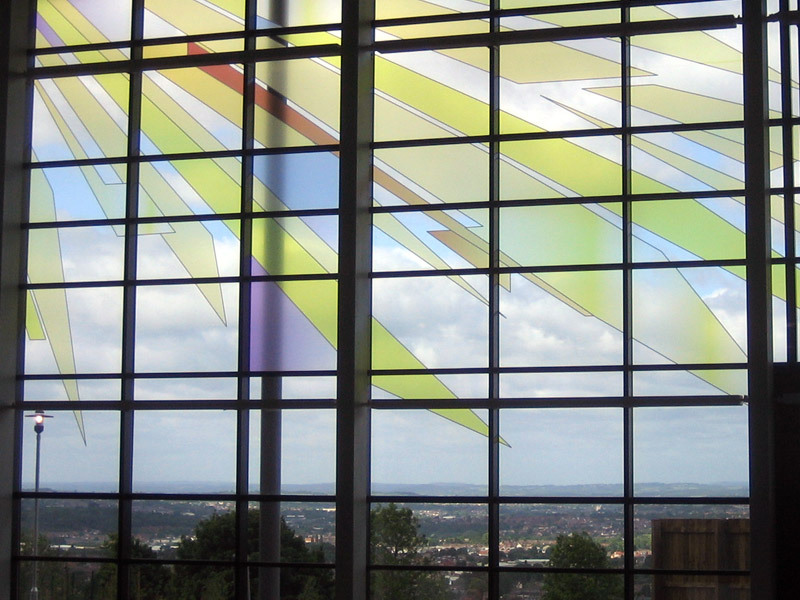 This allowed very high light levels to be maintained but also keeping the intensity of colour needed on such a large scale.